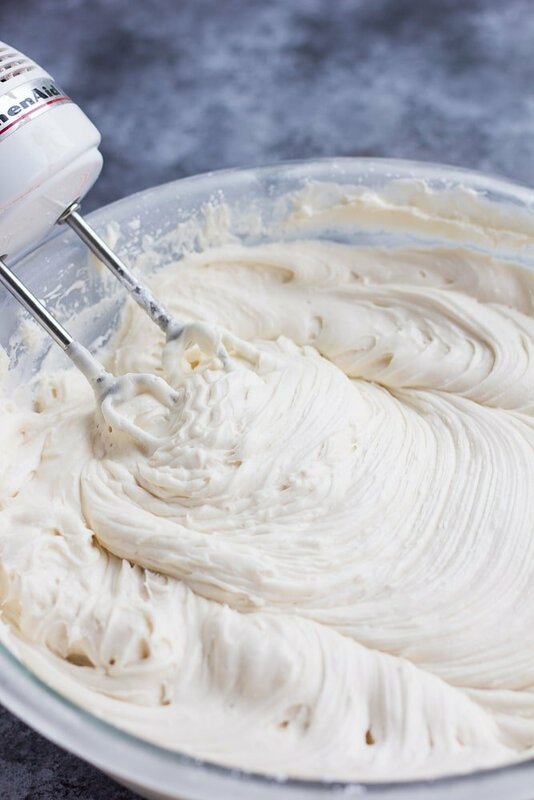 Sweet with the right amount of tang, I’ll teach you how to make the best Vegan Cream Cheese Frosting that’s thick, rich and totally decadent! Perfect for Carrot Cake, Red Velvet Cake, or Pumpkin Spice Cake. Some cakes are calling out for cream cheese frosting, am I right? It was always my favorite type of frosting before going vegan. The few times I’ve tried to make it the way you would make typical cream cheese frosting, it would be too runny and slippery. One time I made a double layer carrot cake for Easter, and the top layer slipped off and broke right before serving… It still tasted good, but how frustrating! 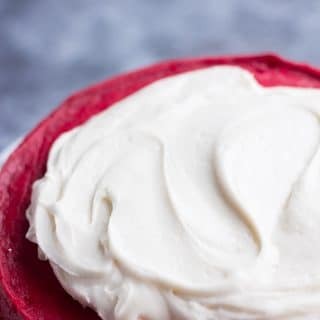 Today I’m going to show you how to make Vegan Cream Cheese Frosting that is thick, spreadable, and suitable for layer cakes. 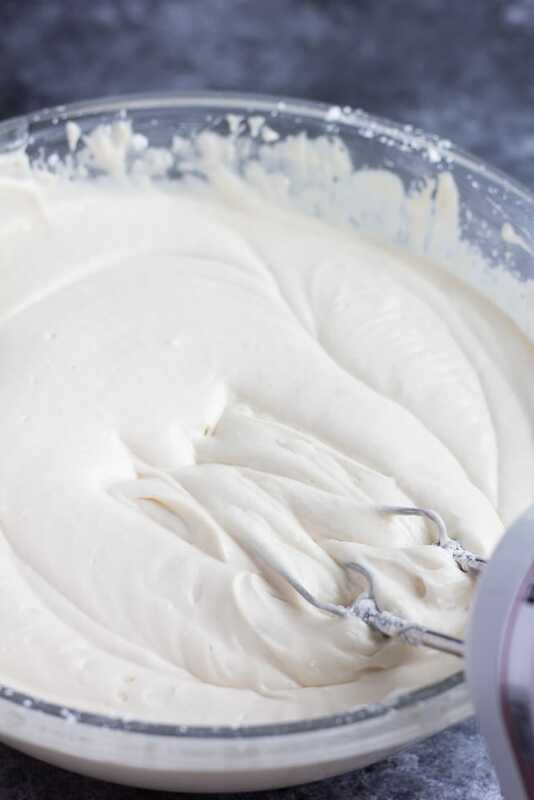 It’s a little fussier than other frostings (like this Vegan Vanilla Frosting), but it’s not too bad and the tiny bit of extra effort is totally worth this tangy, sweet delicious frosting! 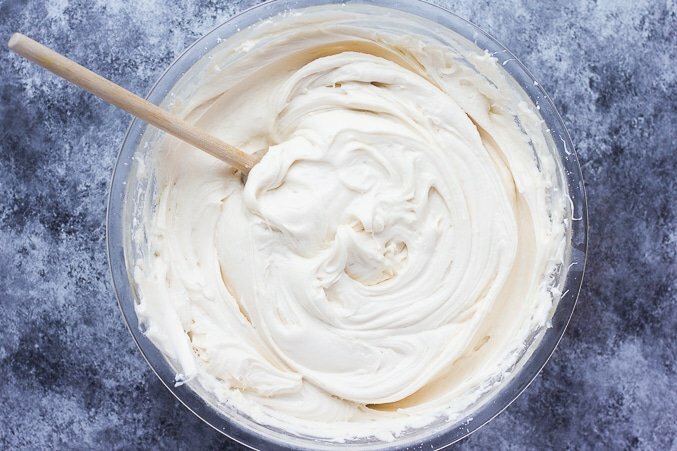 How do you make vegan cream cheese frosting? Start with 1/2 cup (or 8 tablespoons) of vegan butter, Earth Balance baking sticks preferred. I have used the tub successfully as well, and when I use that I simply measure out 8 tablespoons. 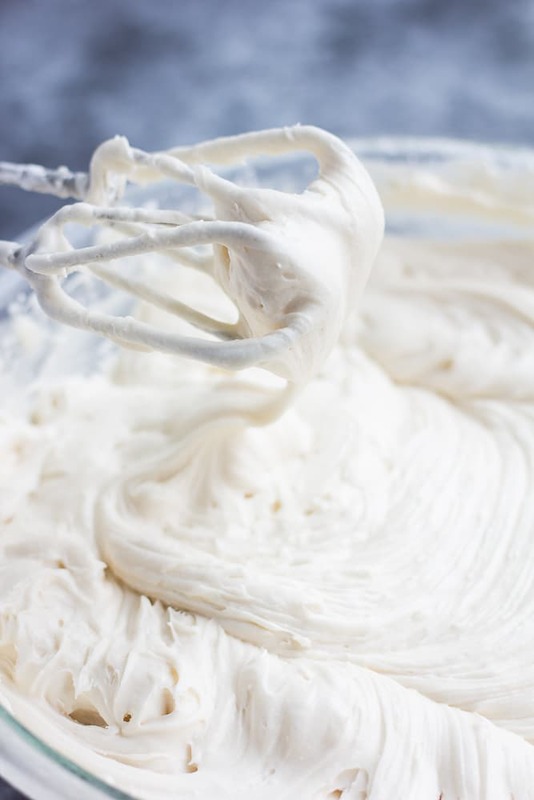 First, beat the butter with a hand mixer (or stand mixer) until creamy. Next, drain any extra liquid in the vegan cream cheese container, and add it to the bowl. Beat for 30 seconds to 1 minute to combine, but not longer or you risk it becoming very runny. Do not over beat! Mix in the vanilla, and then with the mixer on low, gradually add the powdered sugar 1 cup at a time, until thick and spreadable. You may need a little more, or a little less. It should be pretty thick at this point, but not pipe-able most likely. That’s okay, I’ve got you. Read on. Here is my trick. At this point, stick the bowl with the frosting in the freezer for 15 minutes. Remove, stir, and either use, if thick enough, or put it back in the freezer for 15 more minutes. 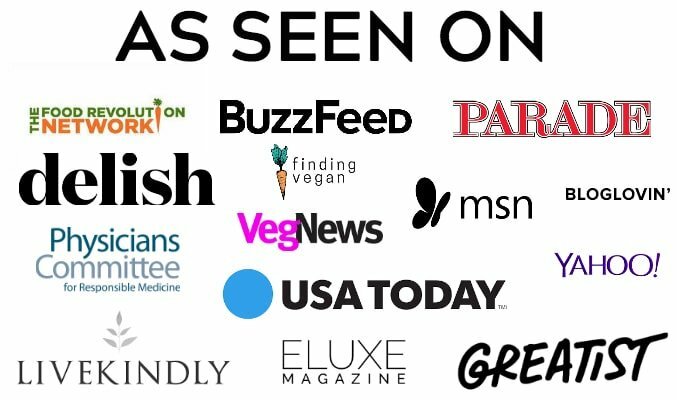 It works like a charm, because most vegan cream cheese is made with coconut oil, which thickens up when cold. How do I prevent my layer cake from slipping? Make sure your cakes are completely cooled before you frost. 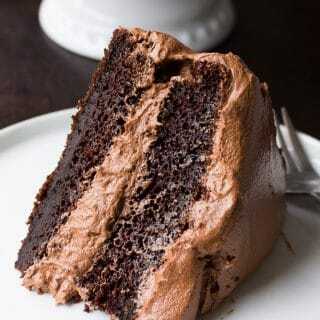 Apply a thick layer of frosting on the first cake layer, then stick it in the refrigerator for 10 minutes. Keep the frosting cold in the fridge while you wait. Then take it out, place the 2nd cake layer on top and frost the rest of the way. 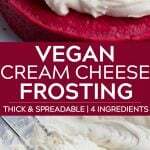 For cakes using vegan cream cheese frosting, you must store them in the refrigerator. If not, the frosting will get melty, and you will have a mess on your hands. Same with cupcakes. Just be aware, this frosting is not very stable at room temperature, so keep it cold! Make sure the vegan butter is only slightly softened, NOT melted at all. Drain excess liquid from vegan cream cheese container, and use it straight from the refrigerator. Don’t over beat the cream cheese. Add more powdered sugar, as needed to thicken. Still too soft? 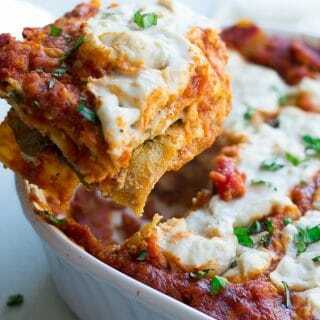 Stick it in the freezer in 15 minute increments until very thick and spreadable. Keep it thick by keeping it cold! After frosting cakes/cupcakes, keep them in the fridge. 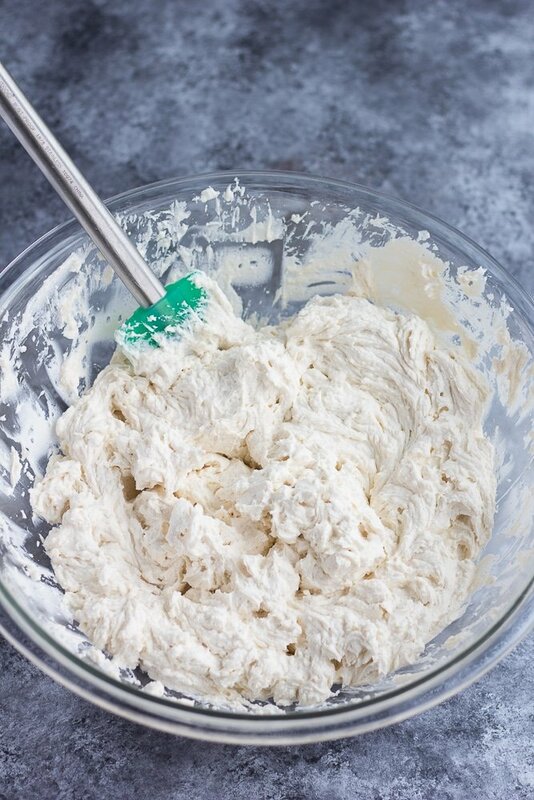 This vegan cream cheese frosting recipe makes enough for 12 cupcakes or (1) 8 or 9 inch cake. Double for a double layer cake. 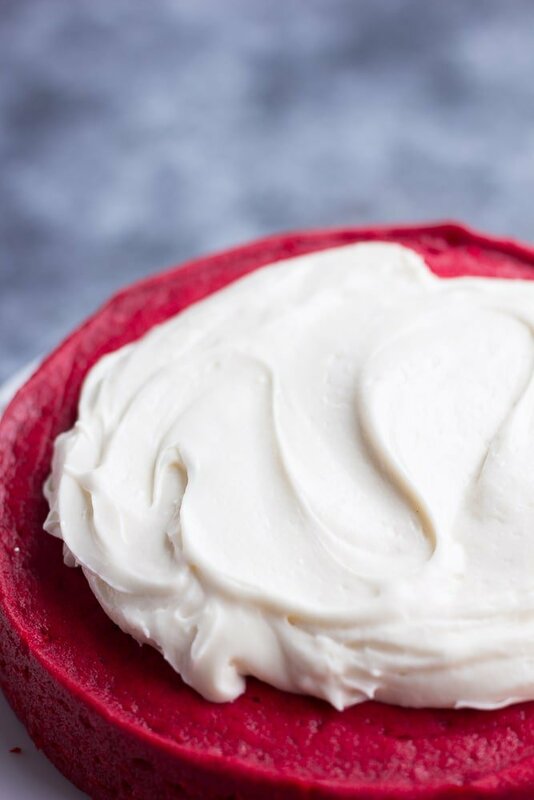 Sweet with the right amount of tang, I'll teach you how to make the best Vegan Cream Cheese Frosting that's thick, rich and totally decadent! Perfect for Carrot Cake, Red Velvet Cake, or Pumpkin Spice Cake. In a large mixing bowl, add the slightly softened vegan butter and beat with a hand mixer (or stand mixer) until creamy and smooth. Drain any extra liquid in the vegan cream cheese container, add it to the bowl and beat for 30 seconds to 1 minute to combine with the butter. 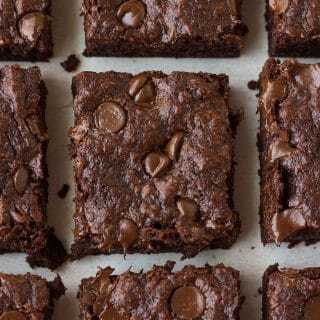 Do not over beat at this point, or your frosting may be too runny. Beat in the vanilla to combine. 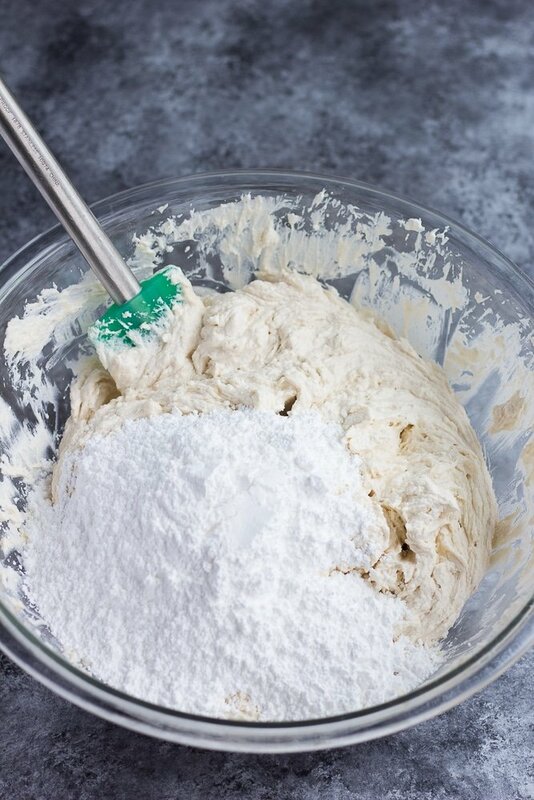 With the mixer on low, gradually add the powdered sugar, 1 cup at a time, until thick and spreadable. I used 4 cups, but you may need a little more. At this point, if your frosting still seems a bit too soft and runny for spreading, stick the bowl in the freezer for 15 minutes. Take it out, stir, and put it back in the freezer for another 15 minutes if needed, until a thick consistency is reached. I recommend Earth Balance brand of vegan butter, baking sticks preferred. They tend to be less greasy for frostings, but I have used the tub as well just fine. If using the tub, measure out 8 tablespoons. Make sure it is not close to melty, or the frosting won't work. Just slightly softened is what we're going for here. I used Trader Joe's Vegan Cream Cheese. Tofutti, Miyoko's or Kite Hill would likely work. I don't recommend the Daiya brand because I think it leaves an odd aftertaste. This recipe makes enough for about 12 cupcakes or (1) 8 or 9 inch cake. Double it for a double layer cake.